I'm not entirely sure how I've done it, but I've somehow managed to get through life to date without owning a MAC palette. Yes I own a few single pots, but not even that many to be honest. While rooting through the MAC website recently, this dawned on me. So of course, with me being me, I needed to sort that out promptly. So the very next day I went to the BT2 MAC store on Henry street to rectify this injustice! 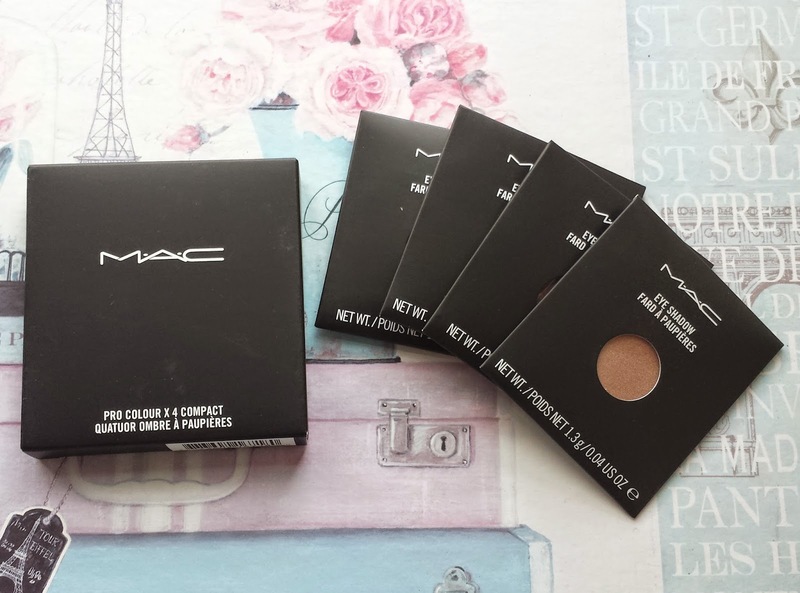 Firstly I did a little research online to decide which shades I wanted specifically, using the MAC site and some of my favourite bloggers for reference. So the four shades I chose are Espresso, Cranberry, All That Glitters and Woodwinked. I decided to start out practical and pick shades I know I would regularly use. 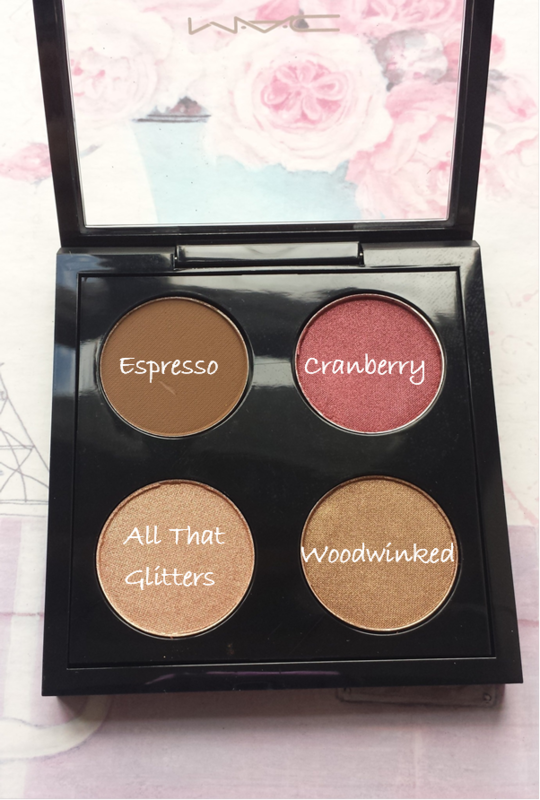 My thought process being that Espresso could work in the crease of my eye as well as an eyebrow shade, Cranberry and Woodwinked could both work as crease colours or in the outter corners, depending on the look I was creating and All That Glitters would be perfect for all over the lid. 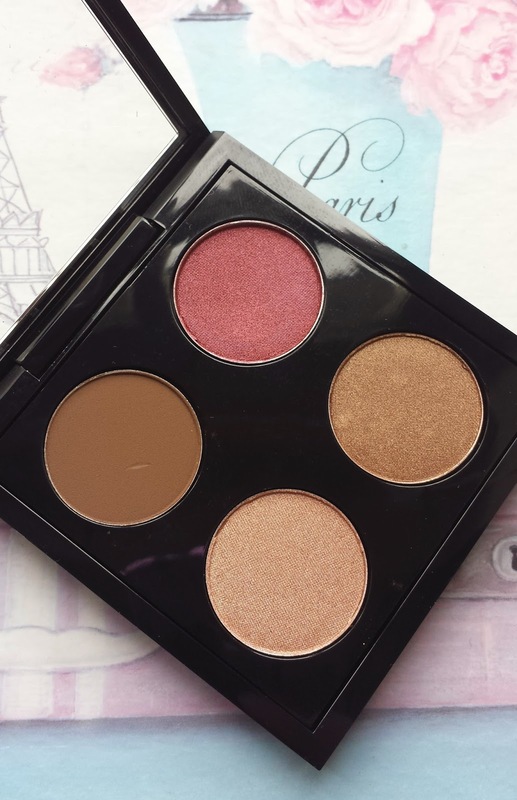 So this one quad could provide all the basic colours I need to create a couple of different neutral eye looks. I know Cranberry wouldn't be everyone's pick for a neutral look, but I quite like using Toasted and Hustle from the NAKED 1 palette, so this type of shade does not scare me. 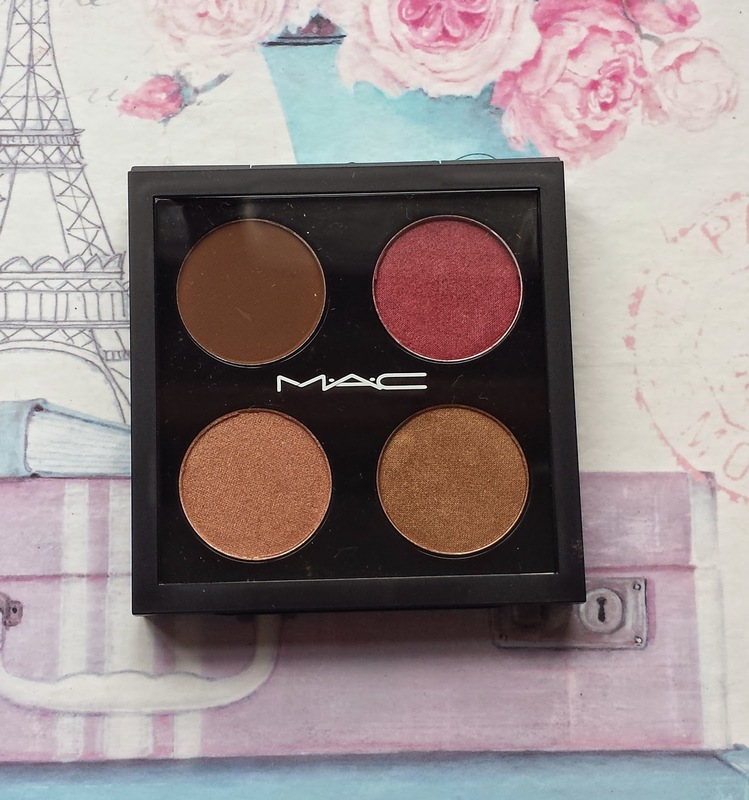 So there you have it, my very first MAC palette. 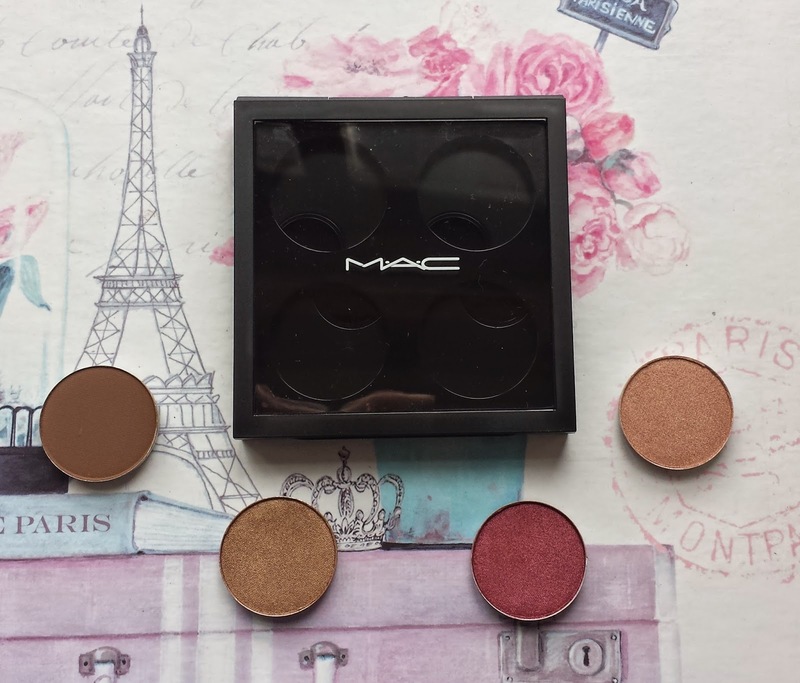 Do you own a MAC palette and have any shade recommendations? I do intend to grow my collection over the coming years. Ultimately my intention will be to own the 15 shades pro palette and keep the quad for travelling, but I know I'm while off that just yet. This first purchase was quite an investment and it certainly wasn't cheap, it came to €58.50 in total, but I knew the initial cost would be high and then I'll slowly build them up over time. It's €8.50 for the quad palette and then €12.50 for each shadow. However if you do intend to buy a few, it's cheaper than buying individual pots and also much neater for transporting and storing. I hope you liked this post and definitely get commenting on what your favourite shades are, I love getting recommendations! That's it from me, hope you're having a great Sunday afternoon whatever you're up to! 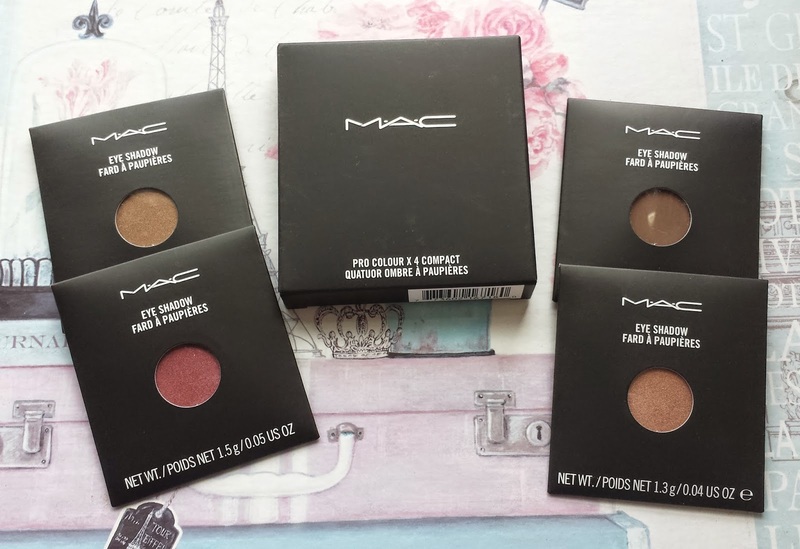 I don't own any of these ones and haven't actually bought a mac eyeshadow in years but I've had my eye on cranberry for a while! Great combination of shades! I'll definitely be on the hunt for new shades in the coming months, so definitely welcome suggestions! Well I have to say my major love affair started with MAC lipsticks. But I do own one of their serums and have tried their foundations in the past. They're a good high end brand without being too crazy expensive! I love the cranberry colour, so if you do a look with this, will ye stick it up on your blog please?? Yeah I still haven't gotten around to de-potting, I must give it a go though! Yes I will definitely stick up a picture once I feel I've mastered these shades! So excited to grow the collection already!